The city of Granada is at the foot of the Sierra Nevada mountains, at the confluence of three rivers. 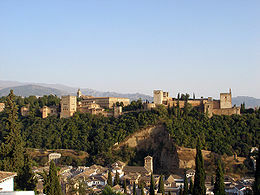 The famous Alhambra, a Moorish citadel and palace, is in Granada. Federico García Lorca Granada-Jaén Airport is located near to Chauchina and Santa Fe, about 9.4 miles (15km) west of Granada. On the River Rhine, Cologne is famous fot its Cathedral (Kölner Dom) and its University (Universität zu Köln), one of Europe’s oldest universities. 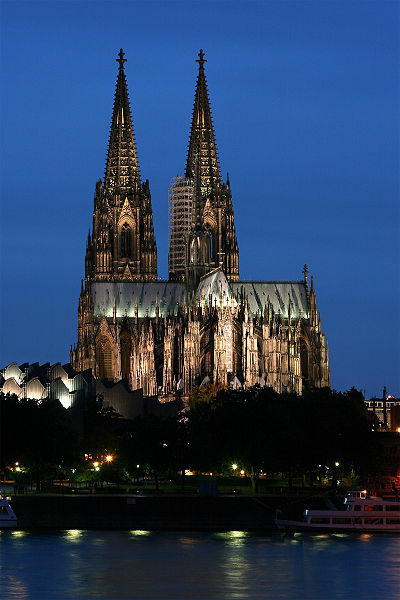 Cologne/Bonn Airport is located 14.8 km (9.2 mi) southeast of Cologne city centre.